With OpenSesame Course Lists, it's never been easier to create and maintain curated lists of courses for yourself or your employees. 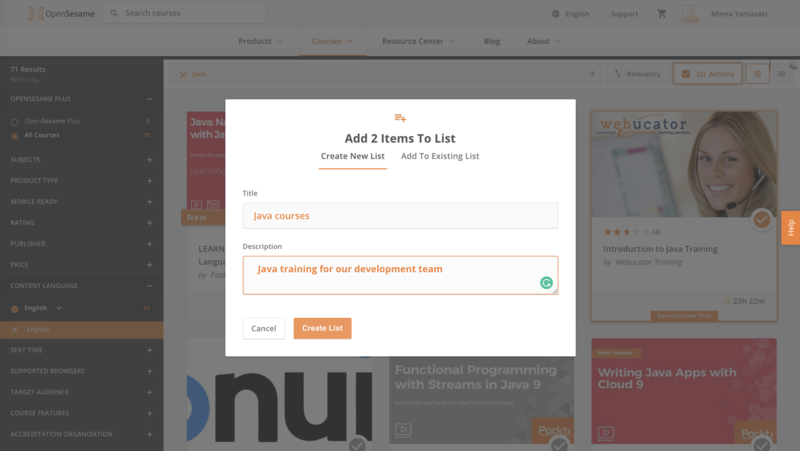 You’ll be able to quickly and easily add courses to a list from OpenSesame Search and course pages, as well as group items within a list such as by job role, department, employee level, etc. Ready to start developing your learning plan within the OpenSesame platform? 1. Select course(s) using the checkboxes on the course cards. 3. Create a new list or add your selections to an existing list. 1. Click the “Add to List” button in the upper right corner of the page. 2. Choose the list you’d like to add your selections to or create a new list. Need to develop a learning plan for different audiences, but want to maintain it on one list? Add categories to your list! 1. Select the courses you’d like to group together using the checkboxes on each row. 2. 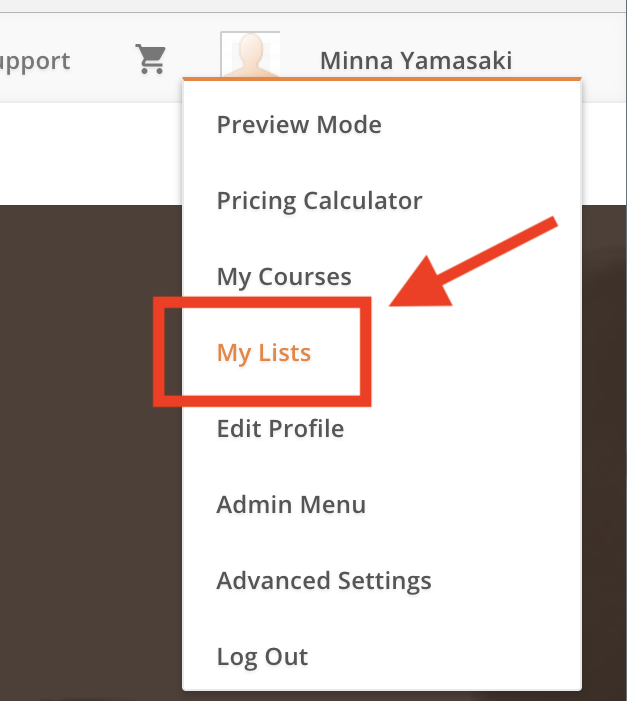 With those courses selected, click the “Add Category” icon. 3. Enter a name for your category and click the checkmark to save. 4. Your courses are now categorized! Need to categorize some courses already on your list? 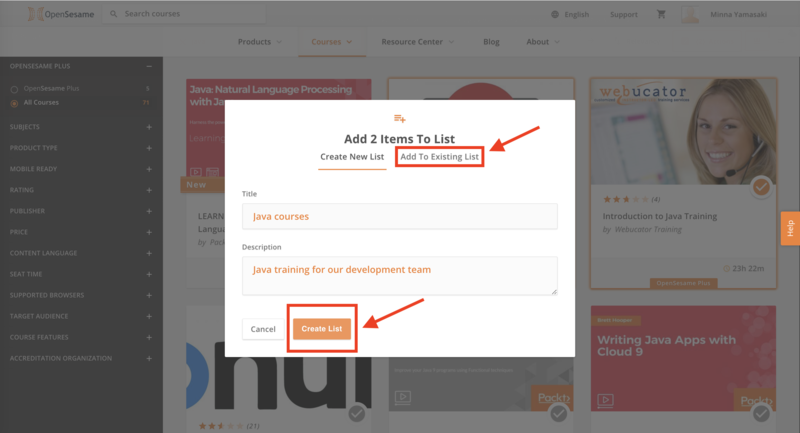 Drag and drop courses into your group by clicking and holding the “drag” icon at the end of any row. For more information, contact OpenSesame Support via chat on www.opensesame.com or via email.